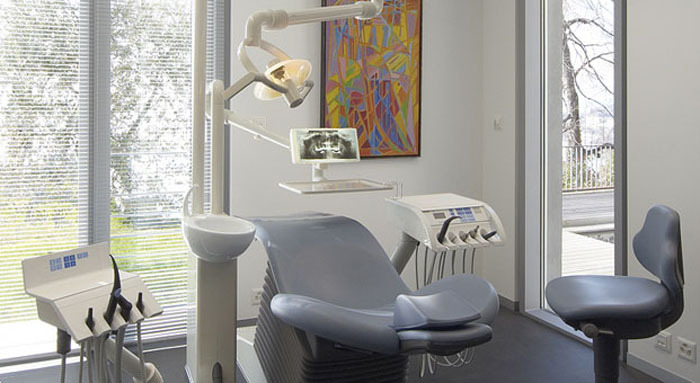 COSMETRIC DENTISTRY is generally used to refer to any dental work that improves the appearance (though not necessarily the functionality) of teeth, gums and/or bite. It primarily focuses on improvement dental aesthetics in color, position, shape, size, alignment and overall smile appearance. Many dentists refer to themselves as "cosmetic dentists" regardless of their specific education, specialty, training, and experience in this field. This has been considered unethical with a predominant objective of marketing to patients. The American Dental Association does not recognize cosmetic dentistry as a formal specialty area of dentistry. However, there are still dentists that promote themselves as cosmetic dentists. 54% of women feel so conscious of their teeth that they're considering braces - here’s what you need to know before you invest. Best Electric Toothbrush - "A good electric toothbrush can transform your life and make you healthier. Find out what you need to know about these devices in our shopping guide." Braces should be worn for life to stop teeth going wonky again, warn dentists - The Telegraph. Can Whiteners Damage the Teeth? - The New York Times. Clear, colorless coffee promises not to stain your teeth - Mashable. Everyone recommends flossing – but there's hardly any proof it works - The Guardian. Feeling Guilty About Not Flossing? Maybe There’s No Need - The New York Times. Hey Sorry Everyone But You Should Probably Keep Flossing - Wired. Lifestyle tweaks for healthier teeth - The Telegraph. LIST OF DENTISTS - who have gained a degree of notability, particularly with regard to the history of those in the field. No More Brace Face? Teens Increasingly Use Clear Aligners - "As treatment with aligners moves from the adult to the younger market, orthodontists are treating more children without traditional wire braces." Oral-B Genius 8000 Rechargeable Electric Toothbrush - "Enjoy a dentist-smooth clean feeling at home with an Oral-B electric toothbrush." Oral-B’s App-Enabled Toothbrush Exposes Your Poor Hygiene - Wired. Our Teeth Are Making Us Sick - The New York Times. Prophix - "An advanced approach to oral care." Smart toothbrush will film the inside of your mouth. teeth-tweakments that will make you look younger - The Telegraph. The best electric toothbrush - "The best toothbrush for most people is the simple yet affordable Oral-B Pro 1000." Toothpick - small stick of wood, plastic, bamboo, metal, bone or other substance used to remove detritus from the teeth, usually after a meal. Waterpik Oral Classic Blue Aquarius Professional Water Flosser - "The Easy and More Effective Way to Floss, the Waterpik Aquarius Professional Water Flosser is the most advanced water flosser ever." Why a Chemical Banned From Soap Is Still in your Toothpaste - The New York Times. Dr. Michael's Dental Clinic - since 1982. "Dubai's Leading and Most Trusted Dental Clinic." Dr. Michael's Dental Clinic is a premier dental healthcare provider in Dubai, UAE that houses a team of world-class dentists and specialists within its dental clinics and specialized Pediatric and Orthodontic Centers in Umm Suqeim and Jumeirah. Swedish Dental Clinic - since 1985. "Our dentists aim to deliver healthy and confident smiles for everyone in Dubai and beyond." LACLINIC - since 2002. Montreux, Switzerland. Centre for aesthetic dentistry. DR. ANDREA MULAS, D.D.S. - cosmetic dentist in West Hollywood: general & aesthetic dentistry, aligner orthodontics, preventative care. Dr. William Dorfman - Los Angeles Sedation and Cosmetic Dentistry. "Dr. Bill Dorfman is not just a famous cosmetic dentist, he is the famous cosmetic dentist. Affectionately known as "America’s Dentist," Dr. Bill is widely recognized world wide as a leading dentist who is responsible for creating smiles for many of Hollywood’s brightest stars." ROSENTHAL & APA, D.D.S. - aesthetic dentistry in Manhattan, New York. "A Smile Makeover, also known as a "Cosmetic Smile Lift", by Drs. Larry Rosenthal and Michael Apa is easy, painless and can change your entire appearance overnight!". Official dentists of the Elite modelling agency. TMJ Dentist NYC - Fred Stange DDS - The dental office of Dr. Fred Stange, in midtown Manhattan, offers everything New Yorkers expect from a dentist in NYC. and just a little bit extra. From teeth whitening to dental implants to Invisalign braces, Dr. Stange and his team deliver personalized cosmetic dental care with a gentle, caring touch.